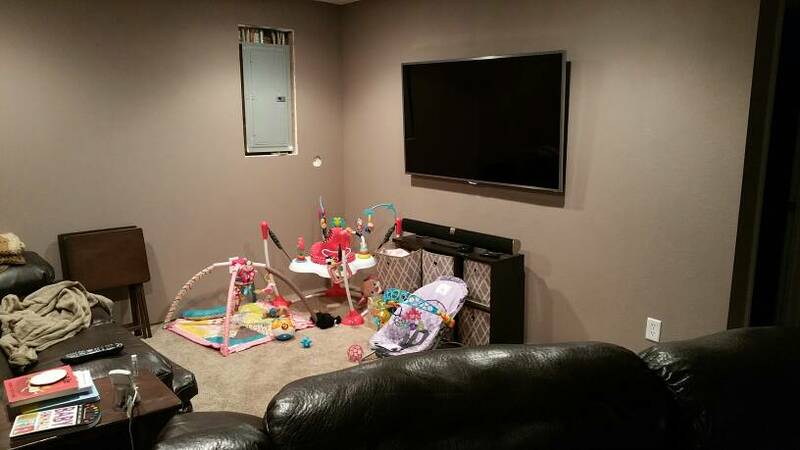 Let's get some pics and specs of everyone's living rooms, media rooms, or man caves. I know purple_hayes just moved and is working on setting his up. Man cave, crappy 37" TV, ps4, Xbox 360, and dart board. And a diploma on the wall! Has anyone drunkenly hit the TV with a dart? Someone is in your house! That desk from Target? If so I have the exact same one. Can you watch TV from you desktop or do the dual 24"s get in the way? Tyler wrote: And a diploma on the wall! None of our friends are confident enough to actually play darts here. 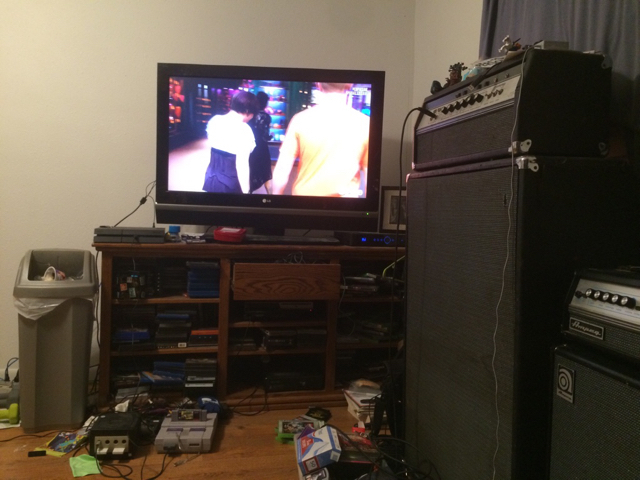 I've had some darts bounce out and land on the TV stand that's about it. My "man cave" room is currently being used as a bedroom for a friend who had to be out of his apartment at the end of January but doesn't close on his new place until this week. Honestly I don't use the basement living room all that often. I live with 3 buddies from college so our whole house is a man cave. wags83 wrote: Honestly I don't use the basement living room all that often. 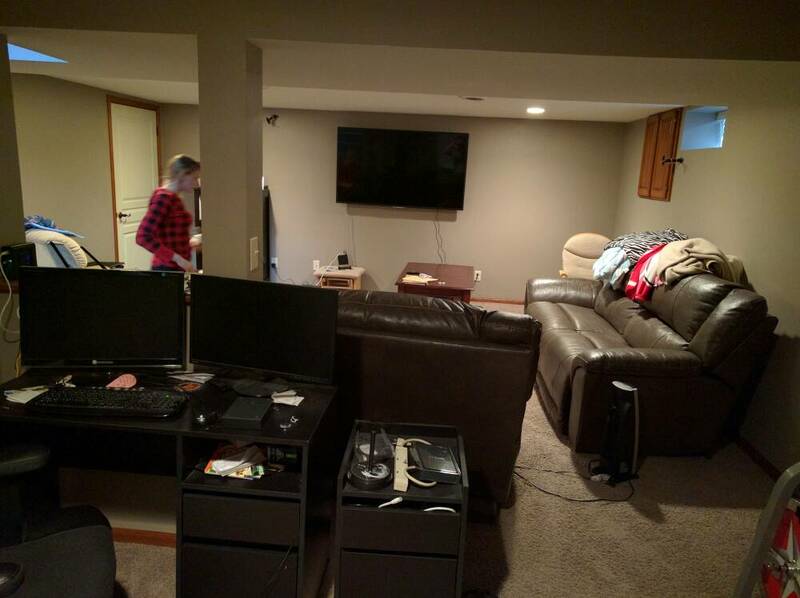 I live with 3 buddies from college so our whole house is a man cave. You're going to have to be house trained when you get married! You don't even have kids! Your TV seemed so big when you got it. Look at the bezel! Need to build my shelf, hide the panel, and base board still. 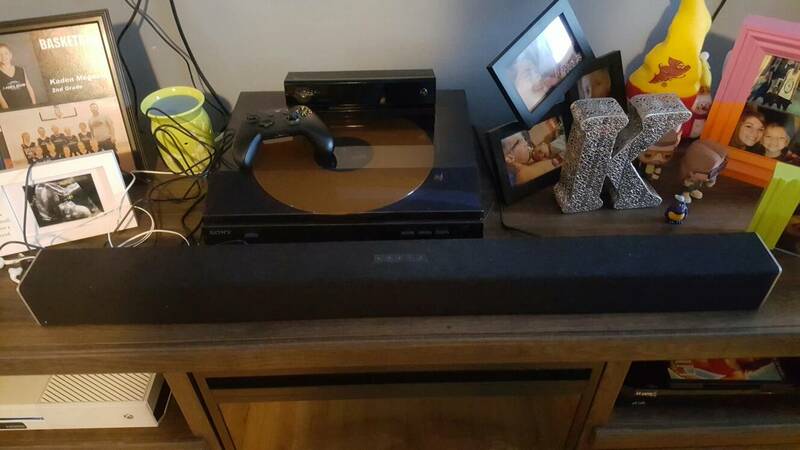 First gen Vizio sound bar. Tyler wrote: Need to build my shelf, hide the panel, and base board still. 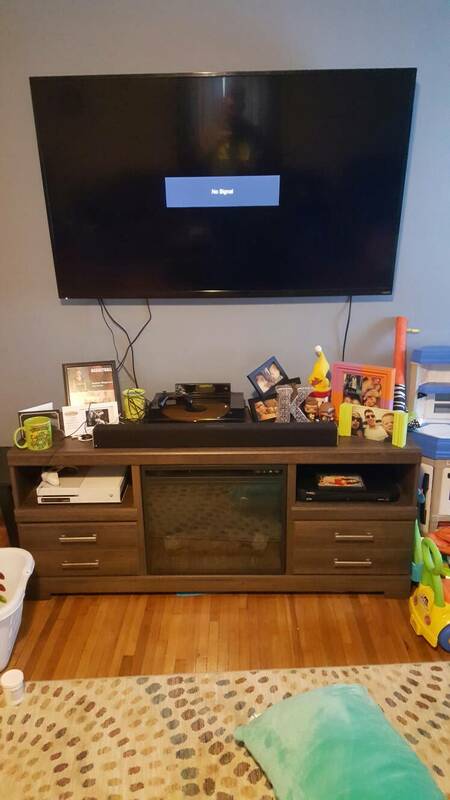 Can anyone recommend a sound bar for my 65" ?